A well formulated software evaluation seeks to find out if a software program is applicable or useful to what it is supposed to be for the client convenience; these Evaluation Templates also serves to check if the provided tool of the software needed some upgrades or modifications. It’s an assessment tool that has categories in which the evaluator can base their judgment for the program. An example template can have the downloadable Sample Evaluation Templates format for you to have comment for improvement and suggested actions to make the software have its utmost efficacy. 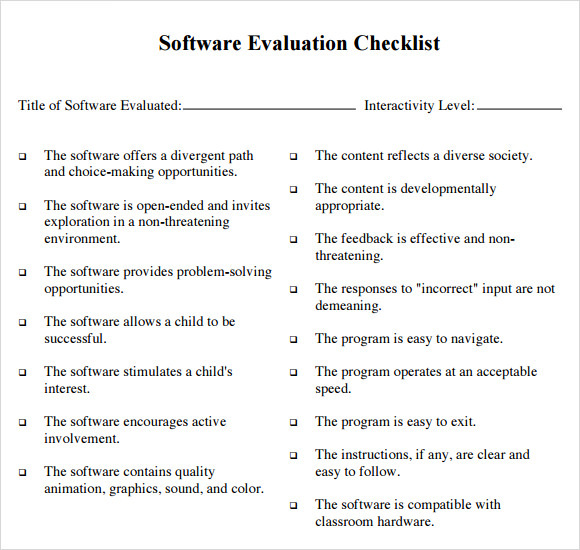 Your software evaluation template can be use for developing more improved software which can ease the task of everyone. This type of template is used for assessing specific software utilized by the school authorities. In this template, there are various blanks like a blank for the teacher’s name, the level of teaching, the type of software etc. Basically, this template can be used for asking teachers to evaluate specific software which they are using. 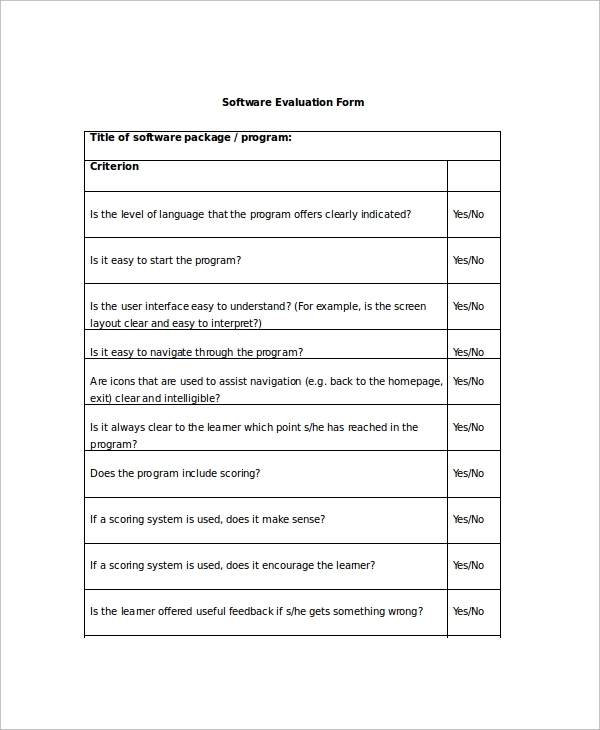 These software evaluation templates are for providing people with ideas and suggestions on how to perform software evaluation correctly. These are very useful providing the grounds for which the evaluation can be done with the name of the software at the top. 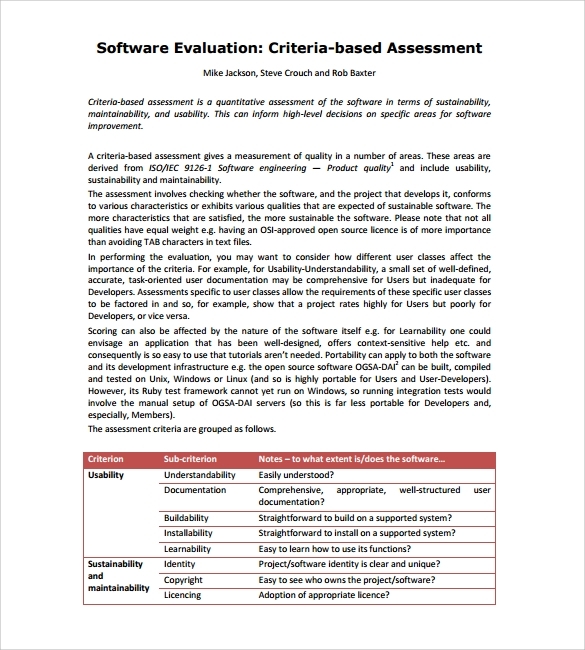 This template provides people with the criteria needed for evaluating software. It is useful for people who want to have knowledge on the grounds on which the software needs to be evaluated. With options of rating the software, this template is very helpful. 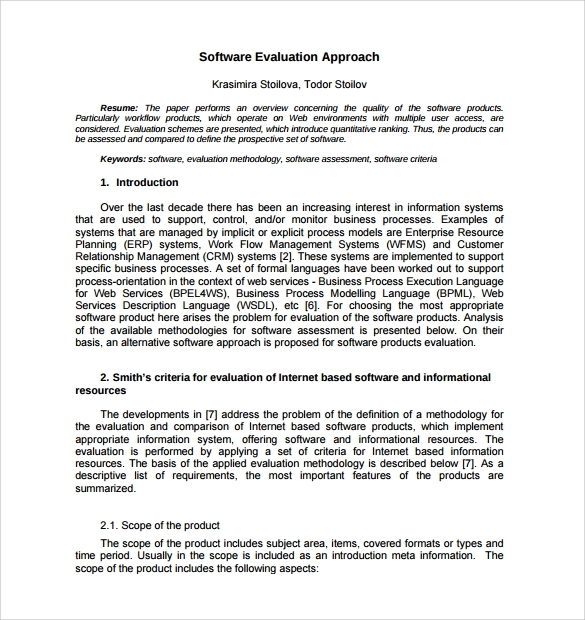 This template provides an idea on how to prepare a software evaluation report. 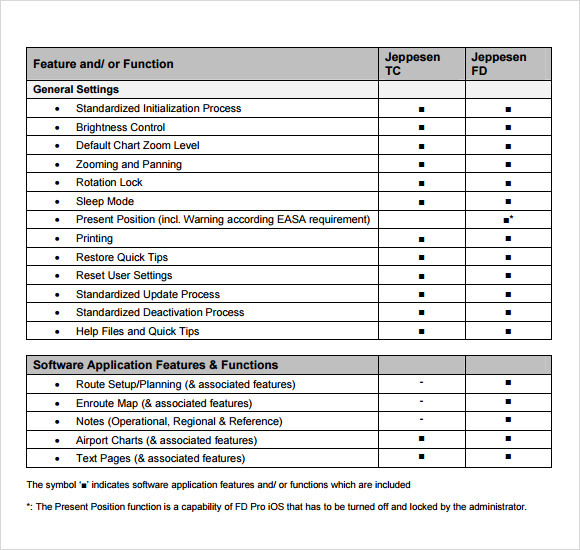 There are various columns containing the reports of a software evaluation. There are features and functions of the software available in the report too. Why Do People Need Software Evaluation Templates? Software needs to be evaluated, for finding out whether it can be as useful like its description or not. The Software Evaluations processes also serve to check if the concerned software needs modifications or upgrades. 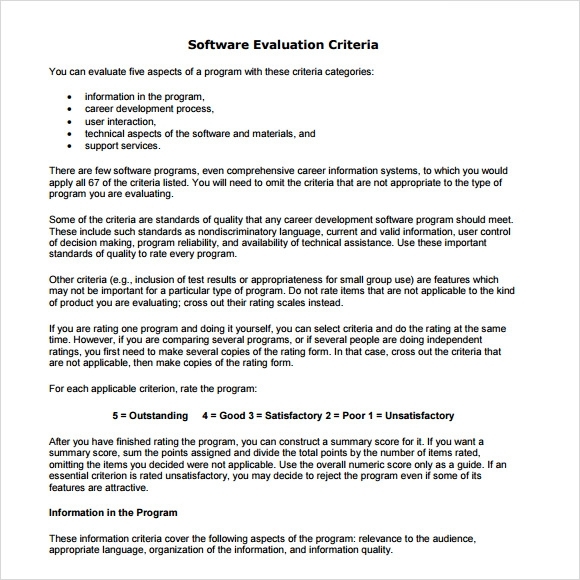 These software evaluation forms or sheets have few categories in which the person evaluating the software can make and present their judgments. 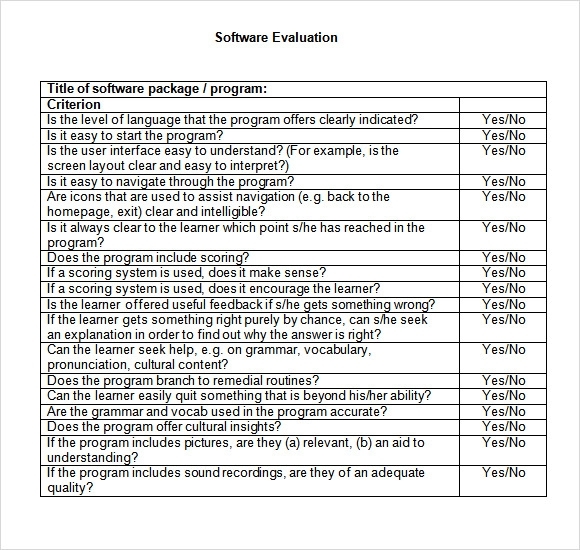 These software evaluation templates provide suggestions on how to properly evaluate software. When Do People Need Software Evaluation Templates? Sometimes software needs to be checked properly. This is required for determining whether the software matches its said values and prove useful to its clients or not. Sometimes, software is tested to ensure whether it needs some sort of modifications or upgradation. In such cases, people who are doing the job of evaluating software, they can take the help of these software evaluation templates. These templates will give them an idea and show them how to do their job accurately. The templates are needed most when people doing the evaluation job need to find out the areas which need to be checked. You may like Technical Evaluations. These templates are very beneficial for people. First of all, people who are doing the task of evaluation can take the help of these templates for doing their work with ease. These templates provide the people with ideas as well as suggestions on how to properly do their job of evaluation. Evaluators can find out about the areas which need to be checked. Secondly, clients for whom the evaluators are working, get the benefit of receiving flawless software. The software is checked to ensure whether it needs to be modified or updated. Software must be checked for various reasons. For instance to find out, whether it actually is as useful as described and needed to be updated or modified or not. 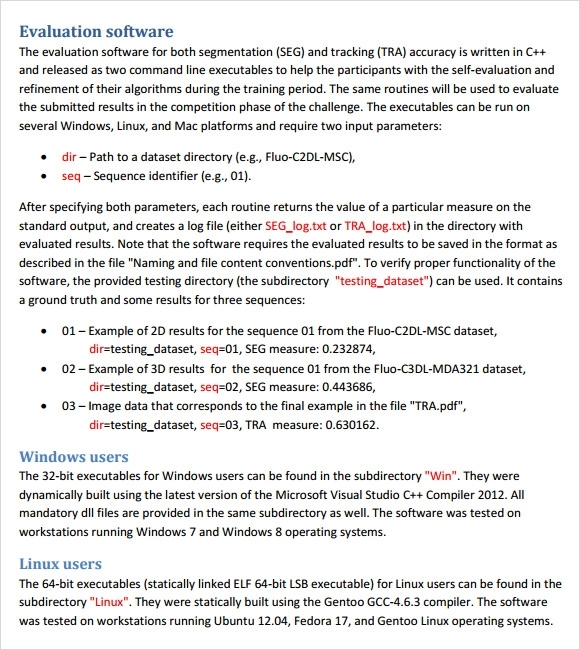 These software evaluation templates are very helpful in this cause, providing various ways and techniques to evaluators to do their work properly.